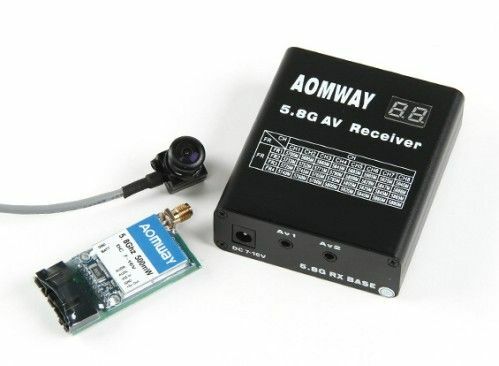 The Aomway 5.8G 500mW Transmitter, RX04 Receiver and 600TV lines CMOS 5V camera set is the perfect combo for those that are looking for a high power output set, ideal for long range FPV work in one easy to use package. 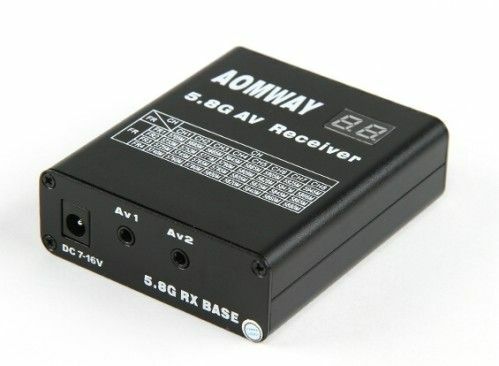 The 5.8GHz AV receiver is a great accessory for your FPV system! 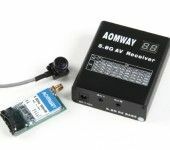 Nice and small in size for easy integration into your ground station, but big on quality and features. The receiver uses the same two button interface, one for the band and one for channel with a bright LCD, making channel swapping a breeze. There are two independent AV outputs for both audio and video. Powering the receiver at the field is as easy as plugging in a 2~6 cell lipoly into the included prewired cable. It just doesn’t get any simpler than this. 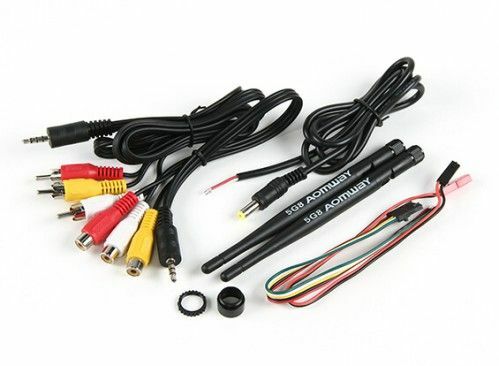 The Mini 600 TV lines camera with built in microphone is a small but high quality camera made for FPV applications. 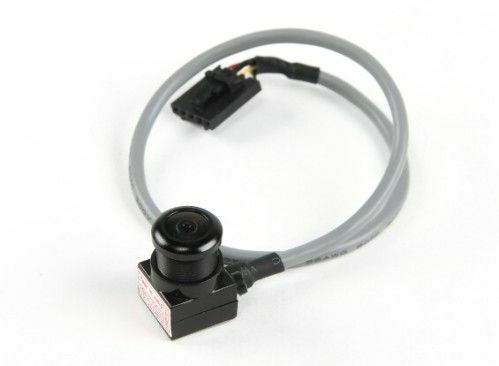 The camera has a shielded A/V cable and standardized 5 pin connector that is plug and play with most video transmitters. The CMOS FPV tuned sensor is great in all light conditions and even comes with a lens adapter if you want to change the FOV. 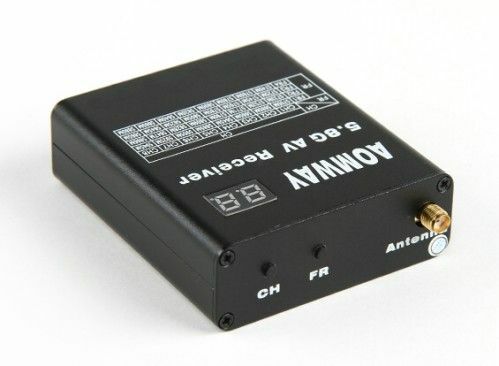 The video transmitter packs 500mW of ultra clean 5.8GHz power in a conveniently sized and durable video/audio package! 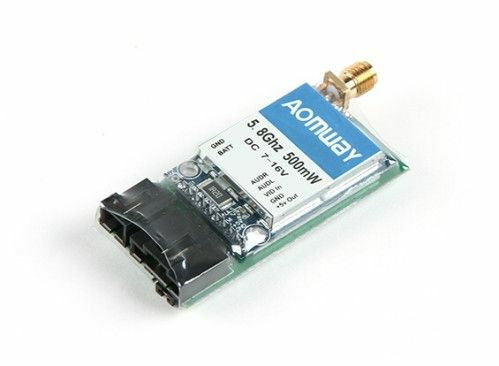 Adjustable frequency selection and a selectable 5 or 12 Volt camera power output makes this a must have for those looking for a robust transmitter with good performance.